Have you ever wondered how to improve communication in your marriage? I know I have. Sometimes it just feels like we are speaking different languages or having two totally different conversations. There are a few simple things that we try to do to improve our communication. I see it so often. Someone talking and the other person staring at their phone. This says a few things to the person talking. It tells them that whatever is on the phone screen is more important and more interesting than them. Is that how you want your husband to feel? I don’t think so. This is not how we should want anyone to feel. If you find you have a hard time doing this, start by leaving your phone in your purse in another room and purposefully go and have a conversation with your husband without it. When we are going through something difficult and are having a disagreement… it is easy to go on the defensive and make it about us. Often times, if we would just take the time to really listen we would realize that what our husbands are saying sheds light on deeper feelings they might have. If all we do is go on the defensive instead of soaking in what they are saying and genuinely evaluate our own hearts and motives… communication will always be an issue. In a Christian marriage this should really be a given. You might be thinking “well, of course I am honest!” But has your husband ever asked you what was wrong and you replied “nothing.” Or maybe he asked if something was ok and you replied with “it’s fine.” As women we know that those words don’t mean what they should in those moments (most of the time). However, our husbands hear “nothing” and “it’s fine” and think there is nothing wrong and that it’s fine. And you know why they think that? Because it is what we told them! We can’t get mad at them for not understanding when we are the ones not being honest about our feelings. The next time you are wondering how to improve communication in your marriage, improve your communication with God and the rest will follow. The word build is another word for nurture. When you build, you are making an edifice, structure; you are constructing something visible that will catch attention and easily noticeable. Do you know that your mate is suppose to be the most important person in your life after God?. If you have your children, your parents or friends in your spouses place of honor then you are asking for problems. You are crashing your marriage. You cannot put the cart before the horse its not going to work. I think one of the problems of Christian Marriages is putting the cart before the horse. We make preferential treatment to our friends etc at the expense of our home. We need to choose everyday to love our spouse with an undying love, find ways to compliments them, praise them for things they do, honor and respect them. In building up one another we need quality time together. Be sure to touch them, hold them, hug them, kiss them. We need to spend quality time in prayers too. Let the line of communication be opened. Create time to talk, chat, discuss and be free to ask questions. If you find your mate is better at something then you are do not try to tear them down praise them for their abilities and gifts. Work to help them achieve greatness. If you find them overwhelmed seek to find ways to help lift the burden. 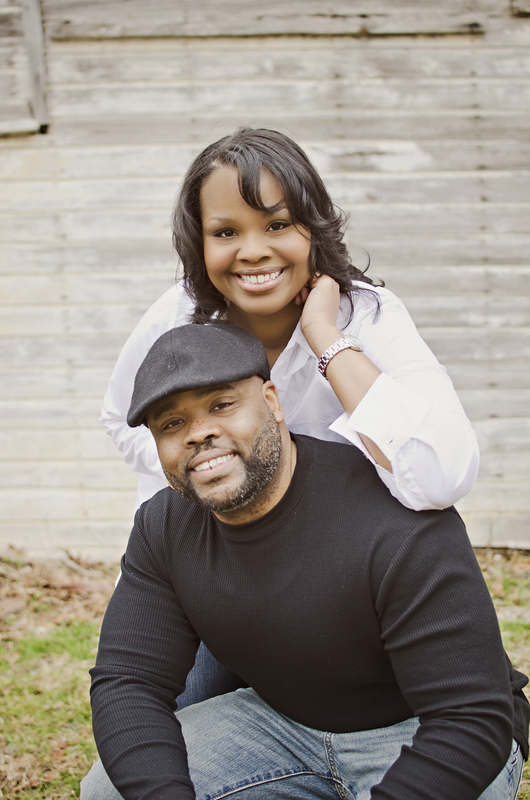 In building up your spouse, you make room for peace to reign in your marriage. You are making room for greater things in your home. Start out today to build up and not tear down. Your key today is to stop judging your spouse for past mistakes. I can tell you from experience that having a memory like an elephant for your spouse’s past failures will not serve you well in marriage. None of us like having past trash dragged up and throw in our face every time we have a confrontation. I like to think as I have journeyed through this life I am learning from my mistakes and also learning to improve. 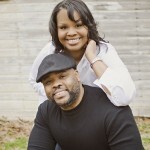 The question is, are you letting you spouse move past their errors in judgment or do you make sure they never forget? We are called to be encouragers of one another not the judge, jury and prosecutor. I can assure you that the devil does not need any help from you at being the accuser of your spouse. That guilt and shame you keep heaping upon your mates head will only instill lack of confidence, fear of failure, breakdown in communication, anger and bitterness. Matthew 7:1 says to not judge others or you will be judged the same way. I don’t know about you but I do not need or want more judgment in my own life. So I totally think it’s time to let bygones be bygones, decide to forgive the past and give it to God. Learn once again to start putting trust into your mate and encourage them, love them and honor them. Most of all pray for them because we all need help and guidance on this journey of life. In our relationship with our spouse we have so many opportunities to be offended. I think when we actually step back we realize that a lot of the things we waste time angry about are things we could have actually chosen to laugh about and in so doing create a fun Facebook post. I could have taken Wil’s comment as a slam or an attack on my weight. I could have pointed out his insensitivity or reminded him of the fact that I’ve carried and delivered his three children back to back from 2007 to 2010. I could have held out my list of daily duties that make it a struggle for me to get to the gym. I could have dramatically declared my cooking strike. Or silently initiated my bedroom strike. As funny as these possibilities may be, most of us wives… do, have done, or will do this. Unfortunately, for both parties we lose time and unknowingly we injure relationship. When I laughed at Wil the Great’s accurate assessment that I’ll have no problem taking care of the two- pound tub of peanut brittle I was actually creating safety in our relationship. A safety I’m actually desperate for. Conversely, when I pick apart everything he says. Or tell him what he means when he speaks, I’m creating volatility. I’m actually designing a man who will be so unsure of my responses from incident to incident that in many cases he will simply choose to remain silent. Which will anger me because as a woman built in my DNA is a craving for deep communication. By the way I’m almost done with the peanut brittle and it hasn’t taken very long. I guess Wil the Great can’t help his prophetic bent. 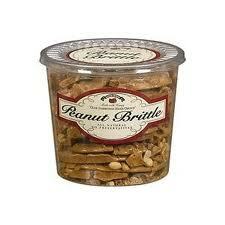 Behold the actual two-pound tub of brittle. What a yummy find! I love clearance!